The Regina Pats Hockey Club is counting down the days until one of the biggest drafts for the team in the last six years. 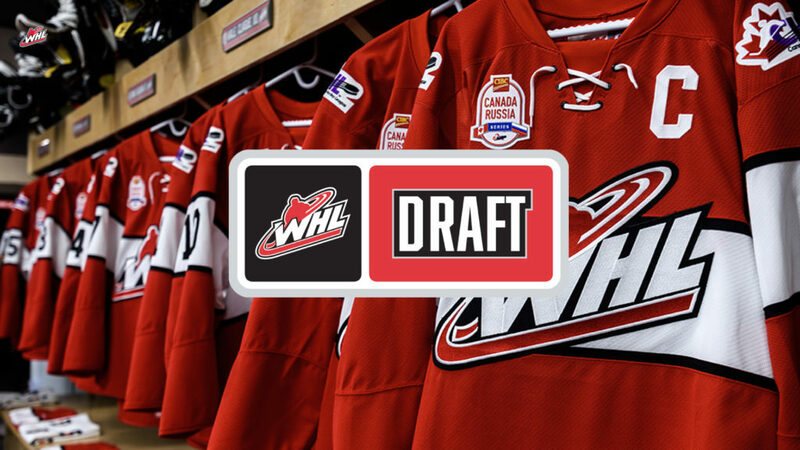 The Pats will pick five times in the first three rounds of the 2019 WHL Bantam Draft, once in the first round, once in the second and three times in the third. The 2019 draft will start on Thursday, May 2 at 8:30 a.m. in Red Deer, Alberta. As we await the 2019 WHL Bantam Draft, let’s meet the Pats draft class from 2018 when the club selected nine players. Up first, the Pats top selection, forward Jake Snashall from Calgary, Ablerta. The next selection for Regina was defenceman Daylan Weigel out of Warman, Saskatchewan. In round seven, Regina selected forward Colby Wotton. Up next, was defenceman Parker Berge. The Pats then went into British Columbia to select defenceman Marcus Taylor. With the first of two picks in the 10th round, Regina took defenceman Jake Johnson. Then came Los Angeles native Easton Armstrong. The Pats rounded out their 2018 draft class by selecting forward Colby Bear.